Get away from the everyday with this world tour of exciting destinations to color. From the landmarks of London and Paris, to the romance of the Taj Mahal and Mount Fuji's cherry blossoms, to the mysteries of the Amazon Rainforest and the Great Barrier Reef, each beautifully detailed illustration is a virtual vacation. Select your destination, choose your colors, and begin your incredible journey. 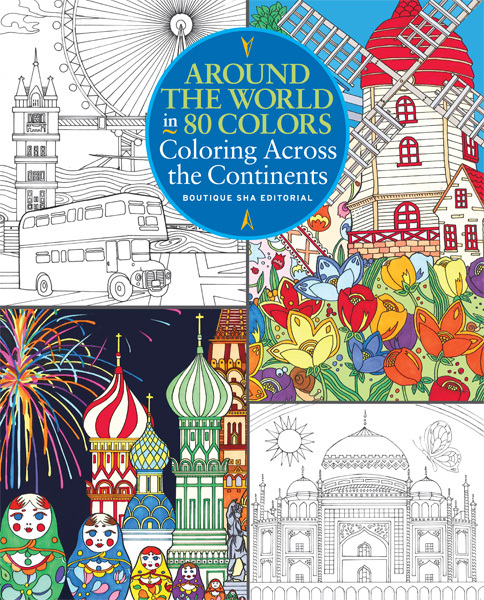 The 36 illustrations in this book celebrate famous locales and heritage sites, ready for you to color your way around the world with colored pencils and a little imagination. There are no rules. Use realistic hues or something more unusual. Color the sky blue... or maybe lime green? Whichever colors you choose, they will be your own unique expression of these intriguing places.